While I was away on vacation, the big news in physics was the BICEP2 result on B-modes in the CMB. Maybe it’s just as well I wasn’t available to blog about this, since inflation and cosmology aren’t at all my field of expertise. Now that some of the dust has settled from the media blitz though, I do think it’s worth while to write something here, since there are some aspects of the story where the media coverage could use some extra perspective. First of all, there’s the obligatory caveat about this result not being definitive, which most coverage by scientists has included. To my non-expert eye, looking at the main graph reproduced everywhere, if you subtract the gravitational lensing background you get something which is much larger at higher values of l than it is supposed to be if it were coming from primordial gravitational waves. But, I’m the wrong person to be evaluating this, you should read what the experts have to say, with some examination of the issue from Peter Coles here and Sesh Nadathur here and here. The great thing about this is that all you should need is a little bit of patience to see it resolved, with data coming in from Planck later this year and sooner or later from BICEP3 and other experiments as well. If this is a red-herring, we should know that within a relatively short time-frame. Assuming that there really is a primodial gravitational wave signal, this is something that has long been predicted by inflationary models, so is a significant extra piece of evidence for some sort of inflationary scenario. I’m not the right person to try and explain the details of this, or even to point you to the best review articles, but some things you might want to look at are John Preskill’s derivation of the prediction here, and many people are pointing to Daniel Baumann’s lectures here. On the plane back from Italy I was looking for other reasons at an excellent introductory QFT textbook by Alvarez-Gaume and Vazquez-Mozo, which turns out to have a section (6.5) devoted to this calculation. The BICEP2 results will also send some string theorists back to the drawing board, says Frank Wilczek, a theoretical physicist and Nobel laureate at MIT. String theory posits that elementary particles are made of tiny vibrating loops of energy. Efforts to combine string theory with cosmology have led to inflationary models that generate gravitational waves with energies much lower than the level detected by BICEP2, he says. Theoretical physicist Eva Silverstein of Stanford says she disagrees that string theory-based models of inflation are in any sort of trouble. “There is no sense in which we are forced to start over,” she says. She adds that in fact a separate class of theories that involve both axions and strings now look promising. Linde agrees. “There is no need to discard string theory, it is just a normal process of learning which versions of the theory are better,” he says. Moreover, Dodelson says, theories of quantum gravity, such as string theory, predict modifications to the shape of the inflaton energy landscape. So if that landscape can be measured precisely, he suggests, physicists might finally put string theory—long mocked as an untestable “theory of anything”—to a concrete test. Kaku, a string theorist, says that string theory could provide the answer … or answers. The cosmic parameters for string theory suggest that the number of possible universes could amount to around 10 to the 500th power. That’s a 1 with 500 zeroes after it. Such a scenario offers so many possibilities for parallel universes that in some of them, “Elvis Presley is still alive,” Kaku joked. Besides watching the string cosmology clown-show, I’ve not followed at all closely the huge amount of work done by theorists in recent decades on various ways to get inflationary scenarios, so don’t have anything well-informed to say about how the BICEP2 results will affect this area. One thing to watch will be a conference next week at Perimeter (thanks to a commenter here for pointing this out). For some background on why I haven’t paid much attention to this, I should explain some history. Back in 1980 when Alan Guth’s work on inflation first came out, I was a graduate student and did pay close attention to what was going on. The arguments from Guth and others for inflation as an explanation for several otherwise hard to understand aspects of cosmology (the horizon problem, flatness problem) were (and are) compelling. Even better, the idea motivating Guth at the time was that the fields responsible for inflation would be those that broke the GUT symmetries, so grand unified particle physics models would explain aspects of cosmology, and cosmological observations might tell us more about GUTs. All in all, this was a very attractive idea. Over the years though, no evidence for GUTs emerged and it became clear that GUTs didn’t actually provide very much in the way of explanatory power about the Standard Model. Lots of work was done on inflationary models, but these models just typically invoked a single conjectural scalar field (the “inflaton”), with its relationship to anything known in particle physics a mystery. Earlier CMB data gave some hints of further evidence for inflation, and now the BICEP2 data provides yet more significant evidence, so there’s lots of reasons to take seriously the idea of inflationary scenarios. The models getting some confirmation though seem to be very simple ones, with a single inflaton field and a very simple potential. This is great news for the general idea of inflation, but still leaves the whole subject with pretty much no convincing explanation of anything about particle physics, and with a minimal connection to quantum gravity (although one intriguing new BICEP2 paper I did notice was this one). The sad thing about this whole subject though is how some people involved in it have reacted to its problems making connection with particle physics, by throwing in their lot with the multiverse as an explanation for the failure of string theory. The multiverse functions here as an all-purpose excuse for not being able to explain anything about particle physics, with the argument being made that particle physics is fundamentally something just random and inexplicable, different at different points of the multiverse. The standard move of the people doing this is to point to the fact that in the simple models getting some confirmation, “eternal inflation” can give you lots of copies of our universe, all with the same physics. This is advertised as “evidence for the multiverse”, with no mention of the fact that, to the extent this is true, it’s evidence for what Tegmark calls a “Type I multiverse” (all the same physics), not a “Type II multiverse” (different physics in different universes, making our physics unpredictable). Several physicists in recent years have been engaged in a vigorous publicity campaign based on confusing this issue, and the BICEP2 results found them hard at work. There’s Max Tegmark here and here, Sean Carroll at the New York Times, and Andrei Linde and Alan Guth everywhere (see for example here, here and here). Luckily not all of the press coverage is dominated by this, with the better science journalists doing a good job of ignoring it and focusing on the real story (a good example is Dennis Overbye here and here). For some other press coverage of the “BICEP2 implies Multiverse” story, there’s Fox News, which has Dr. William Lane Craig explaining how this is proof the scriptures are true. Claims are also being made by The Bosnian Royal Family for having priority over Andrei Linde in this proof of the Multiverse. I’d like to double down on observational cosmology as well as various systems that are very far from equilibrium. mentioned that most (proposed) string theory inflation models are dead. Since you’ve recently discussed HEP funding, I’d like you to consider for a moment the monetary implications. The LHC cost ~$10 billion. BICEP2 cost ~$20 million. (BICEP2 costs effectively more than that number because of the general costs of the US Antarctic Program, but the total for taxpayers can’t reasonably exceed ~$50 million.) Think of where the future of fundamental physics ought to be, in terms of bang per buck. I actually feel kind of sorry for all the grad students and postdocs who have specialized in accelerator physics, many of whom will want/have to switch gears in the coming years while lagging behind their cosmologist peers. It’s not true that the simplest inflationary models are the ones being confirmed by BICEP2 – in fact these models have a pretty hard time reconciling the BICEP2 data with Planck, and are therefore pretty bad fits overall. This is because such large tensor perturbations add power to the temperature power spectrum at low multipoles, where the Planck data was already marginally too low. One way to reconcile Planck+BICEP2 is by a very large running of the scalar spectral index, which cannot be produced by quadratic chaotic inflation or natural inflation (in spite of what Katie Freese tells the world). Another way is to introduce a blue tilt to the tensor power spectrum – something that is very definitely not consistent with inflation, but is apparently consistent with Brandenberger’s model. Other possibilities within the inflationary paradigm are anticorrelated isocurvature perturbations reducing the power at large scales, something that produces a broken power-law primordial spectrum and so on. The data isn’t yet enough, or secure enough, to provide compelling evidence in favour of any one of these alternative scenarios. But it is definitely not pointing to the simplest inflationary models. Maybe a better way to say it is that my impression is that the data is still consistent with simplest models (I’m influenced by your latest post where you find good odds that the BICEP2 r value will come down…), and that seems remarkable. After a long career of watching HEP experiments, where pretty much all initial results that seemed to point to deviations from the simplest (Standard) model ended up going away, maybe I’m biased in favor of the expectation of that happening here. The problem is that we’re learning from cosmology experiments about the very early universe, but we don’t seem to be learning anything new about the questions we don’t understand about the Standard Model and particle physics. Yes, cosmology experiments are much cheaper than HEP experiments, but they are telling you about something different. And they require many fewer people, so a world with no LHC and just cosmology experiments would be a world with a lot fewer physicists, not the same number doing different things. Bicep2 is a cheap experiment but it’s not as though their experiment works in isolation. They require theoretical input from a large community of astronomers who have researched and detailed the properties of the gravitational lensing background; further, their result requires combination of their data with data from the Planck experiment. Bicep2 doesn’t show that we should end large experiments to only have small experiments; what it shows is that small and medium-sized experiments need to be a part of the scientific ecosystem, and that there should be a spectrum to the size distribution of experiments. Which I’m happy to see proven. There are senior scientists who believe that everything in science should be done within the context of gigantic collaborations. I read your blog site for a long time and I appreciate the information you provide about physics in general. Can you please let me know if Bosnian Crown Prince Mensur Omerbashich’s claims, against Wineland And Haroche Nobel Price winning, have any merit? I know that this question is off-topic, but if they are, by any chance, true gives a bad name for some physisist and this is very unfortunate fact. Thank you. By the multiverse philosophy, there are an infinite number of universes out there in which the Bosnian Crown Prince’s claims are true. However, I very much doubt they are true in this one. This is saying that Linde’s chaotic inflation model is a Type II multiverse. Is that correct? From your post it sounds like this is actually Type I, no? The problem is that if your inflationary model is based just on postulating a single inflaton field, with no information about what this field has to do with the fields we know about that give us the Standard Model, then it’s not really going to produce bubble universes with physics different than the Standard Model. So, I’d say what Linde’s theory of taking the SM + single, simple inflaton is going to do if it produces a baby universe is just produce one with the SM, so giving a “Type I” multiverse, not “Type II”. Linde and others are moving from the simple model being tested here to something else without mentioning this. Peter, back in the dawn of time when I had Linde for graduate quantum, he did a lecture at some point at the end of the quarter about chaotic inflation. He implied through his dry sense of humor that there could be big differences between different inflated regions (e.g., “If red region fluctuates and spontaneously inflates and becomes blue region, suddenly all our protons decay and I am no longer giving you this talk.”). From that remark, it seemed at the time that at the very least he was considering different values for various coupling constants and charges in the different regions. Is that considered still being within the SM? Different bubbles may experience different spontaneous symmetry breaking resulting in different properties such as different physical constants. Where the cited reference is to Max Tegmark apparently speaking about Linde’s chaotic inflation model. Is this a direct implication of the theory or just a speculation about how the the model may be related to the SM? This is speculation, not the simple model being used to get the B-mode prediction. It’s precisely this kind of replacement of the actual model at hand being tested that one may have some evidence for by something vastly more speculative that one has no evidence for that I object to. I don’t see any place though in the public discussions of this from Tegmark, Linde, etc. where this is mentioned. What’s controversial about the multiverse (and the source of complaints from “multiverse skeptics”) is not the idea of lots more parts of the universe out there with the same physics that we can’t see, but rather the putting forward of a speculative, completely untestable model that says you can’t ever understand “why the Standard model”, when there is no evidence at all for this. There is a huge activity among theorists of coming up with specific models (for instance string models) in which the inflaton is related to the low energy SM physics in specific ways, but those aren’t what is being tested here. As I tried to explain in my posting, it’s always been the idea of people doing this that the scalar field (or fields) responsible for inflation might be one of the Higgs fields responsible for breaking the symmetry of a GUT theory down to SU(3)xSU(2)xU(1). Then the behavior of inflation and the GUT would be linked, and you might get bubble universes with different symmetry breaking behavior (and, for instance, unstable protons). So, that’s the vision, but it’s not at all the model being tested here, where there’s no known relation between the single inflaton and GUT symmetry breaking. Again, what I object to is the sleight of hand replacement of what is being tested by a speculative vision one has no evidence for. Thanks for the clarification. I admit to being confused by what some of these folks are saying in the popular press and wikipedia. This brings up another question for me though… this activity of generating models with some specific connection between inflation and the SM, well I’m trying to imagine a scenario where one of these models is successful in making connection with both the BICEP2+future Plank results and the SM. Is there a scenario where one of these models might also directly imply a type II multiverse? I guess what I’m getting at is even if we know that one of these inflationary models “implies” other parts of the cosmos that are causally disconnected from our local patch we’d never be able to detect them and so how would we ever know if they contained different physics? I might be impressed with the Type II multiverse if a model that connected with all known physical experiment/observation directly predicted it, but even so we’d never be able to test and therefore this prediction would not be physical. A scenario where I would be more than impressed would be the existence of such a model and a long (50 years?) search that fails for a Type I model that met all observable facts. How about you? Can you imagine any scenario where you’d be impressed or inclined to believe in a Type II multiverse? The problem with this is that you can come up with all sorts of hypothetical models and hypothetical evidence, and what multiverse promoters like to do is to discuss those and say “AHA, you see, the multiverse IS testable”. I’ve been through all this before with string theory, where you also can imagine all sorts of hypothetical versions of it that might be actually testable (but there’s no evidence for any of them). Engaging in this just seems to me a waste of time, one that I’ve been forced to participate in because otherwise you get painted as some sort of fool too stupid to understand that things can be indirectly tested. What I’d like to see from experts is an honest characterization of what the data successfully tests, and I’d be willing to spend more time to try and understand exactly what that is. It’s perfectly reasonable for theorists to devote their time to studying speculative scenarios, what their implications are, whether they are ruled out, how they might be tested in the future. Absent any experimental evidence or a really beautiful convincing idea, I’m not going to spend much time though trying to follow this or engage in it myself, since there are other things I could more fruitfully be doing. The “different physics in different bubbles” is another example of where string theorists have lifted a concept from the non-string world and use it sloppily to talk about “multiverses.” The original idea was that different spontaneous symmetry breakings (and possibly different compactifications) could lead to different ground states, or vacua. Physics, in the sense of dynamics, is still the same everywhere, and there’s a single connected spacetime. The remarkable thing about the BICEP + other results is, if they all hold up, how strict the constraints are. Looking over Kinney’s talk, I see a great slaughter of the theories, leaving only a few standing. But then again, that’s how progress in science happens. I’m not objecting to the different ground states = different physics terminology. The problem is that you don’t know what the relation is of the inflaton to the SM, so the inflaton is an independent field and you’re not going to get vacua with different physics than the SM using it. When Linde says things like his comment about the proton, he’s assuming some theory of the inflaton has been found in which it’s part of the GUT symmetry breaking sector, but that’s something he wants to be true, not something he knows how to do. Basic Physics is out of my field. I work in an applied area, however I do try to keep track of what is going on. My question is how is this possible confirmation of inflation related to the prediction by loop quantum gravity that the universe should undergo a big bounce i.e. that there should be a period of rapid expansion (the work of Martin Bojowald and others). On the surface the bicep2 result would seem to support LQG but I am nowhere near an expert on this? Can anyone shed some light here? At the very least, doesn’t the fact that electroweak symmetry breaking is built into the Standard Model mean that in an eternal inflation theory where other causally disconnected regions undergo inflaton decay, things like the masses for the W and Z gauge bosons should vary from region to region? Or am I misunderstanding something? I think Peter’s right about the fact that quadratic inflation as written down doesn’t give you a way to get different physics in different universes. What’s more concerning is that unless you have couplings of the inflaton to the SM, you don’t get a thermal bath of SM particles after inflation (the inflaton has to decay into these particles somehow). So the simplest quadratic inflation model actually doesn’t give us the universe we see – there’s no CMB, for instance. Of course it’s possible to imagine that there are some couplings of the inflaton to the SM which facilitate reheating, but then you’ve got to demonstrate that they don’t simultaneously change the potential during inflation, changing the model predictions (and possibly spoiling the flatness altogether). All this is made harder by the fact that the inflaton field has super-Planckian values, so using effective field theory is out but it’s not clear what to use instead. The conclusion then is that quadratic inflation is a toy model that shouldn’t be taken too seriously. Or at least that’s my understanding based on the situation a few years ago: if there’s been any progress made in making the model more realistic, I’m happy to be corrected. quadratic inflation in the sense that a complex model which included a running (or broken power-law etc) would still be a better fit to the data. The “simplest” models would then be disfavoured with respect to such a model at – I’m guessing – roughly the same level that, pre-Bicep, they were disfavoured relative to the Starobinsky model. The point is that the inflaton is not the electroweak Higgs, it doesn’t couple to the W and Zs. There are models that try to use the Higgs field to do inflation, but the claim seems to be that these are not compatible with the BICEP2 result. The effect of loop quantum gravity on models of inflation have been studied by several authors, by adding an inflaton field and potential to loop quantum cosmology models. A recent detailed study is http://arxiv.org/abs/1302.0254 by Agullo, Ashtekar and Nelson. Some of the standard picture is unaffected but there is one crucial modification to the predictions which is that the usual relationship between r and the tensor tilt is modified (see Figure 9 and eq. 5.18). This is interesting given that apparently one possible way to resolve some of the tension between the Planck and Bicep1&2 data could be to have a blue tensor tilt, which would contradict the usual inflationary prediction. There are also implications from loop quantum gravity for parity odd effects in the tensor modes, coming from the existence of an analogue of the QCD theta parameter in the gravitational action: the Immirzi parameter. There is the exciting possibility that this parameter could be measured by observing primordial B-T and B-E correlations, which sec 8.2 of the BICEP2 paper hints may be possible. This was proposed in http://arxiv.org/abs/0806.3082 and developed in arXiv:1108.0816, arXiv:1104.1800 and http://arxiv.org/abs/1007.3732. I guess I probably am confused about something here, from reading nontechnical accounts of spontaneous symmetry breaking I had thought that all that’s required is that the energy density of the entire observable universe would have been above the scale where a given type of symmetry breaking happens, and then when the universe first drops to a sufficiently low energy, that’s when the new broken-symmetry vacuum state is decided in a random way (analogous to how if an entire magnetic material starts out above the Curie temperature, then when it drops below that temperature the direction of magnetization in different domains is determined in a random way by spontaneous symmetry breaking). Are you saying it’s possible that even if the energy density throughout the observable universe had been above the scale of electroweak symmetry breaking before some cosmological time T, the new broken-symmetry masses of W and Z bosons that would appear after T could have already been “baked in” before T, so that there was nothing truly random about the new vacuum state that arose after electroweak symmetry breaking? The problem is that you’re mixing a story about the Standard Model with the story of the actual model that is being compared to BICEP2 results, and supposedly can produce bubble universes. I think I’m just repeating myself, but the point is simple: you can’t use the model being tested here to say anything about the Standard Model, because the Standard Model doesn’t appear in it. More specifically, the inflaton field being used is not one of the Standard Model fields, and you don’t know how it couples to Standard Model fields. This is the issue I was trying to point out in the posting. The idea of inflation has had some success in explaining cosmological observations, so should be taken seriously for that reason. It has not yet had any success in understanding its relation to the rest of physics: there we just have lots of speculative models, none with any compelling evidence for them. When you say the simplest models are disfavored, do these comparisons take into account the uncertainty in the new parameters? Or is this a likelihood ratio of the null-hypothesis vs model with best fit parameters? Not quite sure I’ve understood your question correctly, but if you mean is the marginalized posterior probability distribution for n_run from Planck+Bicep2 data broad enough to still be consistent with the predictions from the simplest models, the answer is no. I haven’t run the fitting myself, so I am reading numbers off from tables Antony Lewis has produced. But judging from these tables I would say a zero/negligible running is excluded at roughly the 3 sigma confidence level. Sorry to add overkill to your discussion with Jesse but: Is BICEP2’s inflation model claiming incompatibility with Higgs because the inflation couldn’t possibly be explained as a pre-Higgs field expansion in theory – or is there something more specific such as the end of the inflation period doesn’t coincide timewise with the appearance of the Higgs field? That source says that such models predict r=0, so would be ruled out by the BICEP2 result if you believe it. But, a couple days after BICEP2, I recall seeing on the arXiv in quick succession two papers, one saying BICEP2 ruled out the Higgs as inflaton, another saying BICEP2 was consistent with the Higgs as inflaton. OK Peter, now I am starting to believe you are making those things up. Are you absolutely sure a real person (flesh and blood) said that? I will check, be sure. While my question was about hypothesis testing rather than parameter estimation, thank you for your concise answer on that problem. Looking over http://arxiv.org/abs/1303.5082 (fig. 2), it’s clear that even before the BICEP2 results were released there was reasonable evidence of non-zero spectral running. So your 3-sigma statement seems perfectly reasonable. I was originally curious what the Bayes factor or evidence ratio would be when comparing the simplest models of inflation to more complicated ones. More complicated models will naturally fit the data better. That’s not a surprise. I just wanted to make sure your statement about the simplest models being disfavored didn’t stem from using a likelihood ratio involving best fit parameters for the two hypotheses. Sorry about the confusion stemming from my poor wording. Sorry my sarcasm was not clear enough. Bad joke on my (and Linde’s) part. One thing is pretty disturbing – it seems like an established fact that the production mechanism (according to F. Wilczek for example) of the primordial gravity waves is necessarily “quantic”, that is – it requires existence of gravitons. That would be a very major result, however not everyone is mentioning this aspect so strongly – including the BICEP team. Often it is even omitted. So, is that relation (between inflation and gravitons) really a compulsory part of the theoretical prediction, or not? The Linde quote does a great job of reflecting the new way of doing science embodied by “string cosmology”: experiment can never show that string theory is wrong, all it will do is tell us which of the infinite variety of string theories is ruled out, with always another infinity of possibilities still in the game. I’m characterizing this behavior as a comic parody of science, but maybe it’s not funny…. Where in the explanation of inflation is it necessary to posit the graviton as the origin of primordial B mode gravitational waves? Inflation explains the rapid expansion of a very dense early universe prior to the hot Big Bang. So we have an anisotropic mass-energy distribution and highly dynamical spacetime curvature. Sounds like a classical GR problem to me. Krzysztof, I am also curious about these graviton claims. One source (I no longer have the link) appears to claim that BICEP2 proves gravity must be quantized by replacing the metric with operators, which leads to the required quantum fluctuations needed to produce the B modes, and to gravitons. I think some of the links referenced above by Lee Smolin may shed some light on this, but as I understand your question (and mine), are such models necessary, or are they merely in some sense sufficient to produce the B modes? Another claim (again, no link) may have been trying to say that the classical Einstein equations coupled to the expectation values of stress-energy, are generally inadequate to produce the fluctuations that produce the B modes. But even that wasn’t clearly stated when I saw it. Indeed, they may have been trying to talk about some WKB approximation to quantizing gravity being inadequate instead. I apologize for losing the links, and being unable to precisely quote the claims. Maybe some expert on this will help. All I can tell is that there are claims that this signal means one is seeing quantum effects, see e.g. On the question of whether quantization of gravity is needed to explain BICEP2 results I have no insight just an historical note. The discussions remind me of the debate in the ’70’s concerning the “heuristic semi-classical” interpretation of quantum optics (fostered by Jaynes and others) about whether quantization of the EM field was unnecessary to describe any “quantum optics” phenomena. 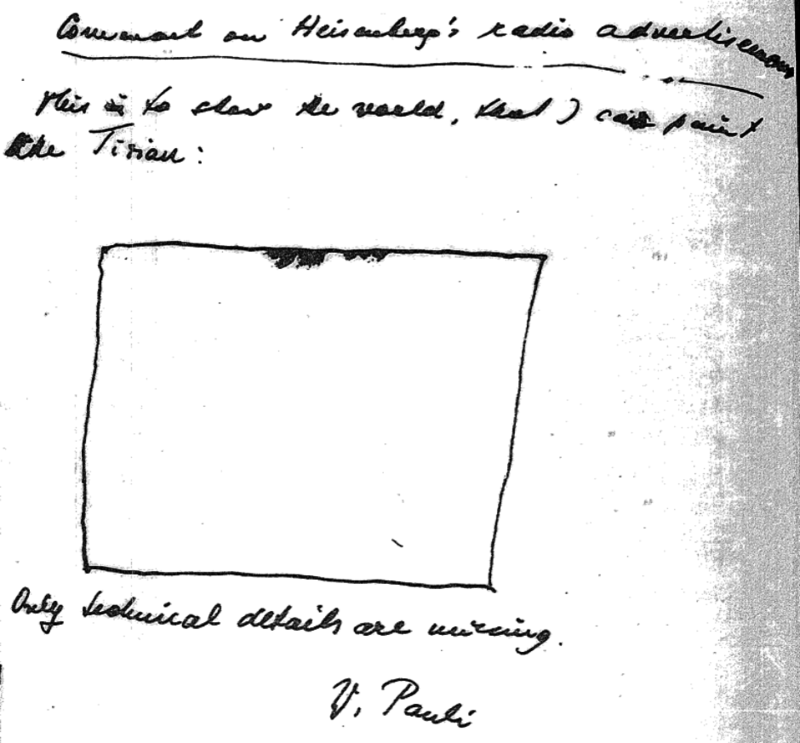 This historical analogy is only “interesting” and not “telling” since quantal absorption of energy from the EM field is and has been for 100++ years established fact whereas at least some research (links given by PW) question whether it is even physically possible to imagine a detector that can experimentally detect a graviton. If indeed, subject to time and further considerations, BICEP2 and/or other results do so indicate the necessity of gravity quantization for explanation: it is a big deal. I’m not an expert in the various physical effects surrounding inflation. However, based on information provided in some of the presentations of the BICEP2 results, it seems to me that the status of the B-mode signal detection as evidence of quantum gravitational effects + inflation can be put on the same footing as the status of CMB temperature fluctuations as evidence primordial quantum fluctuations of the inflaton field. Indeed, the latter seems to be fairly well accepted and the two observations are indirect in similar ways. I’ve based the following on information from various talks I’ve attended and discussions with cosmologists. It would be rather hard for me, unfortunately, to dig up specific references. Perhaps a real expert could weigh in with corrections. In my understanding, the temperature anisotropies that we see (provided all foreground effects can be assumed to have been eliminated) tell us directly only about the photon times of flight (accounting for different amounts of red shift) from the surface of last scattering to us. These varying times of flight are then considered evidence for (classical) density fluctuations present at the time of recombination. The distribution of mode amplitudes of these fluctuations appears to be gaussian, with covariance estimated from the anisotropy 2-point function. Deviations from gaussianity have yet to be detected (as, for instance, in deviations from expected higher n-point functions). Similarly, the observed B-modes tell us directly only the presence of (classical) gravitational waves at the time of recombination. Actually, already this point could be disputed, because the degree of directness depends on the ability to exclude other sources of B-modes. Perhaps magnetic fields could be another source, but the BICEP2 analysis team didn’t seem to think that it was likely. I’m not sure about all the reasons, but lets take that for granted now. Lets also presume that the distribution of mode amplitudes of these gravitational waves was also gaussian, with covariance matrix estimated from the B-mode 2-point function. At the very least, I have not yet seen anyone bring up any evidence of non-gaussianity in the detected B-modes. Now, the above evidence suggests the presence of classical density and gravitational wave fluctuations, with gaussian distributions, at the time of recombination. If inflation did happen, then it would leave behind this kind of signature, as amplified quantum vacuum fluctuations: (a) gaussian distribution of fluctuations connected to the gaussian shape of the quantum vacuum, (b) “large” amplitude (large enough for the fluctuations to have become classical) set by the amount of expansion during inflation, (c) a fixed relationship between gravitational and scalar amplitudes as a function of frequency (based on the similarity of the Fock-like vacua used for both the inflaton and graviton fields). The observational evidence for (c), I think, at the moment is quite weak because BICEP2 has access to only a small range of frequencies. But more concrete evidence (one way or the other) is likely to appear in short order, along with confirmations/disconfirmations by other experiments. So, in the absence of other pre-recombination physics that would generate signals with specific signatures (a), (b) and (c), the observations of temperature anisotropies and B-modes do point toward inflation, an inflaton-driven period of rapid expansion in the early universe. And, if inflation did happen, then the detected B-modes do in fact descend from amplified graviton quantum vacuum fluctuations. A similar thing was said, and widely accepted, of temperature anisotropies long before the B-mode detection. Of course, alternatives where a signal with signatures (a), (b) and (c) is not of quantum origin might be possible, but they’d have to be subject to investigation and testing like any other hypothesis. At the moment, the inflation hypothesis seems to be doing rather well compared to its rivals. We explore the possibility that the fundamental theory of nature does not contain any scale. This implies a renormalizable quantum gravity theory where the graviton kinetic term has 4 derivatives, and can be reinterpreted as gravity minus an anti-graviton. We compute the super-Planckian RGE of adimensional gravity coupled to a generic matter sector. The Planck scale and a flat space can arise dynamically at quantum level provided that a quartic scalar coupling and its β function vanish at the Planck scale. This is how the Higgs boson behaves for Mh≈125 GeV at Mt≈171 GeV. Within agravity, inflation is a generic phenomenon: the slow-roll parameters are given by the β-functions of the theory, and are small if couplings are perturbative. The predictions ns≈0.967 and r≈0.13 arise if the inflaton is identified with the *Higgs of gravity*. Furthermore, quadratically divergent corrections to the Higgs mass vanish: a small weak scale is natural and can be generated by agravity quantum corrections. “Agravity” is short for “adimensional gravity” which is Strumish for a proposal that neatly packages fundamental physics—scale-free geometry with the Planck scale arising dynamically from a Higgs-analog field dubbed *Higgs of gravity*. I’d like to hear comment from others. I took a glance at the “agravity” paper, and it is just the old Kelly Stelle theory from 1977, which has been known since that time to be non-unitary in perturbation theory, in addition the Hamiltonan is not bounded from below. It is perturbatively renormalizable and in fact asymptotically free, which in this case is bad, because there is faint hope to save the theory by going beyond perturbation theory. Many people have tried unsuccessfully to save this theory, from Terry Tomboulis and Gary Horowitz back then to the contemporary asymptotic safety people and Phillip Mannheim more recently. If I read the paper correctly, the authors admit they have nothing to add to these issues. If this was the right answer, quantum gravity would have been solved long before string theory and LQG were even invented. Just to repeat, if these are quantum fluctuations of the gravitational field, amplified by inflation or some similar mechanism there is a great deal new to be learned about quantum gravity, starting with parity breaking effects, and continuing with non-perturbative effects modifying the relation between r and the tensor tilt. Given the prospects for much improved precision for the observations, (quoted as r measured to 1 percent) perhaps its not crazy to say we may have confirmation of quantum gravity effects before we have direct detection of classical gravitational waves. Indeed a couple of paragraphs on page 5 of the Salvio Strumia paper refer to the 1977 Stelle work and several of the other items Lee mentioned, see their references  through . So they confirm in some detail the negative findings that were mentioned and nevertheless seem eager to have another go at this approach. – It is in this universe that I had sent my result to Winelalnd three months before he submitted his Nature paper with the “brilliant lab technique” that took him to Stockholm. – It is in this universe that, of all gasses, he pumped his laser exactly with Argon in order to do the praised “ingenious lab trick for abridging quantum and mechanist worlds”. – It is in this universe that Argon happens to be the only gas with the affinity (“particlequake” energy output) absolutely matching my (our universe’s) gravitational resonance ratio, of 369.2, found explicitly (as an equation) in the paper I sent to him. – It is in this universe that there exists no third physical quantity with the value of 369.2 whatsoever. – It is in this universe that Brian Josephson agreed in an email debate with me (after a few days though — perhaps after I exhausted him? ): “I accept that it is a remarkable coincidence” (though Brian too had a hard time accepting how Wineland could have confused units and dimensions like no freshman would have). Oh well, it’s all “only” forensic evidence after all, isn’t it. And it applies to our universe only. HOWEVER: I was actually able to demonstrate Multiverse/Hyperverse mathematically precisely BECAUSE I lost this universe’s units on G at the outset since, reasoned I, Newton had anyway attached those units to G only in order to close his own (our universe’s) physics mathematically, so they have no multiversal physical meaning whatsoever! (Remember that Multiverse was the starting physical hypothesis). So I showed that physical units aren’t all that multiversal after all, meaning multiverses of Type II (or whatever pleases Max) – are real. Meaning: whatever ratio you take (such as Argon affinity of 369.2 kJ mol−1, and compare it to G w/o its bogus units, you’ll end up with SOME system of equations, some regularity, because NO UNITS ARE REAL especially when G is involved. Whatever equations you arrive at in the aforesaid way (I did it for Earth-Moon system; Wineland used that concept and did it for particles), you’ll arrive at some closed mathematical form. Now, THAT’s the Hyperverse of multiverses we live in. And Wineland figured it out before Brian or anyone else did. For that alone he deserves a sole Nobel Prize — but in some other universe where plagiarizing most of someone’s discovery is praised and rewarded. In this universe however, and in the USA especially, one normally ends up behind bars. 2. In the linearised version of the Einstein’s field equation one expands the metric in terms of creation/annihilation operators as one do in QED etc. These are then treated in a similar way as one treats the phi-operator in order to calculate gravitational wave fluctuations via quantum averages. For an authoritative account of the fundamental calculations behind the CBR stuff I recommend S Weinberg’s Cosmology (2008). Another good and a wide/deep sweeping account is Peter & Uzan, Primoridal Cosomology (2009, 2013). I also looked up Kiefer’s Quantum Gravity (1.ed, 2004) and he does indeed single out the CBR as one of the few possible vistas where to experimentally discover QGR effects. By the way, the idea of expecting effects of gravitational waves in the CBR goes back to a paper by Starobinsky in 1979.